Lighting Loves Haze & Smoke Factory Has You Covered! with incredible power and efficiency. This unit runs at 1,500W, with 5ltr of fluid lasting you 120 hours! It is completely contained in it's own flight case, making it incredibly portable and perfect for travel. The Tour Hazer II also features 2-Channel DMX control, allowing you to operate the internal fan and the haze-output independently. 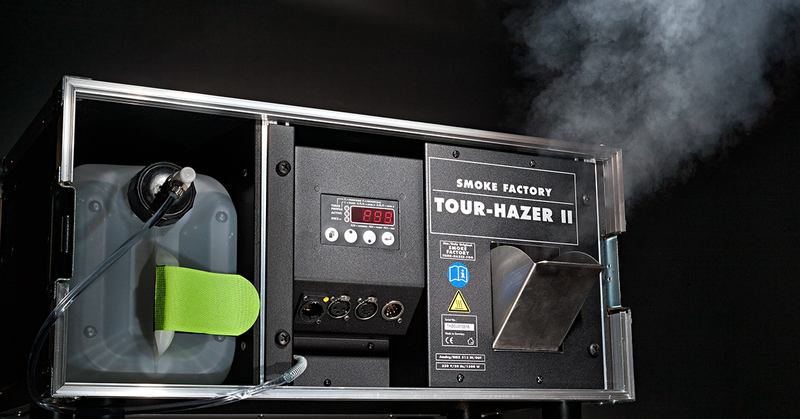 And the robust hose system inside the Tour Hazer II allows the fixture to be tilted and operated on any side, and the direction of the haze output can easily be changed using the custom 45° adjustable baffle. 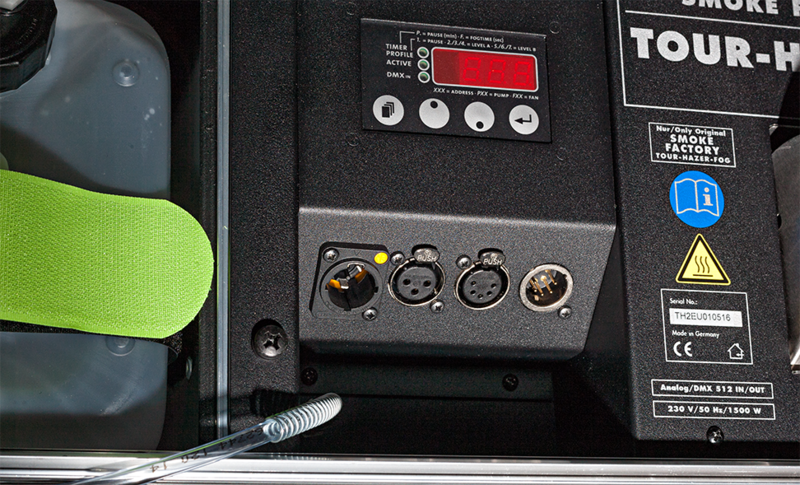 In addition, all Neutrik Powercon-1 connectors are used, with a custom locking system that prevents accidental removal of the power plug during show performance. The Captain D is a classic fog machine, with high output power and completely digital adjustments available. Captain D offers very high output and adjustment in steps of 1-99%, with full DMX control and continuous fog output possible. REGISTER AS A DEALER - SAVE BIG! Smoke Factory products are exclusively distributed in the USA through Pangolin Lasers.